With more people than ever working from home, the biggest obstacle many face is not having enough room to accommodate a separate working space. 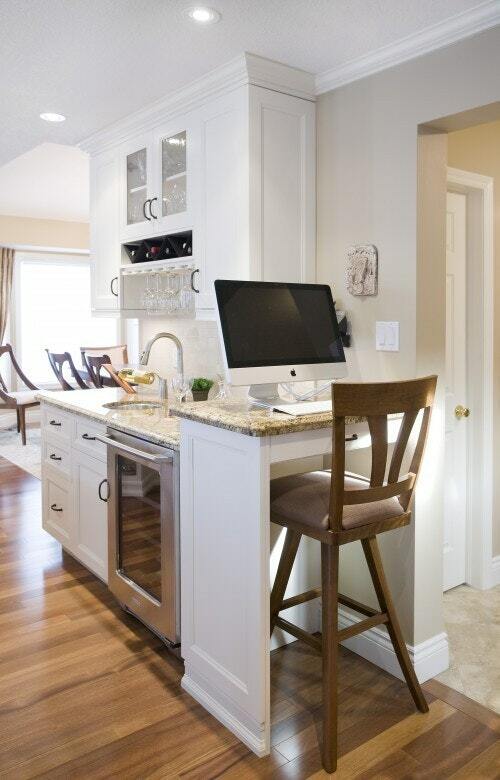 But here at The Wooden Furniture Store, we think that a home office doesn’t have to be a self contained room. Brilliant work-friendly spaces can emerge from a spare corner of wasted space, for example under the stairs, a large landing or in the kitchen. Sounds too good to be true? With thoughtful planning and creativity, almost any alternative space can be turned into a home office and here’s how…..
We’ve noticed a real trend on Pinterest and Instagram to have a designated study area in the kitchen. A lot of us spend a good deal of time in the kitchen, so it seems like a natural room to create a work area and it really doesn’t need a lot of space. 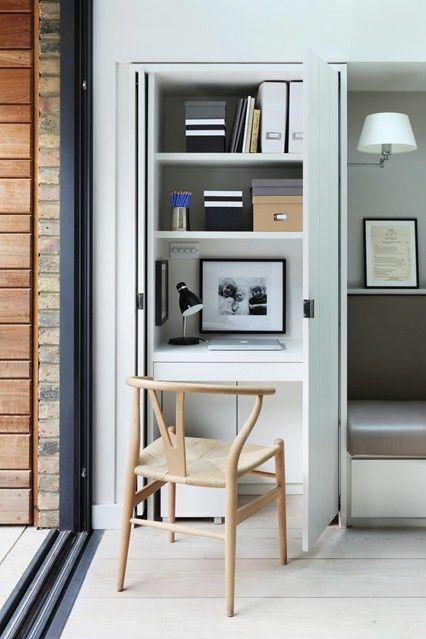 Creating a multi purpose home office is often the best way to make use of an otherwise awkward corner or area. This slim end worktop in this kitchen has been transformed into a practical and useful breakfast bar and extra work station. There’s a big trend for standing desks, as the health benefits of standing rather than sitting for long stretches of time have been widely debated! The good news about a standing desk is that it takes up a lot less space than a regular desk arrangement. Take a look around your home and see if there is an area you could clear to create a standing-level perch. 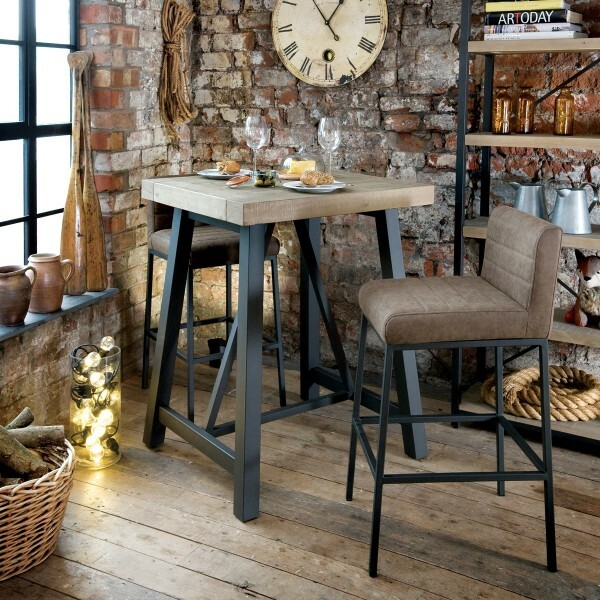 The Hulstone Industrial bar table features a strong, geometric shape and is crafted from reclaimed rough sawn pine with a powder coated frame for a stylish finishing touch. Creating a work area in an alcove is a great way to use an under-used space and it does not encroach too much on the rest of the room. Think about filling a wall with modular shelving including a desk and sliding keyboard shelf for a little extra working space. 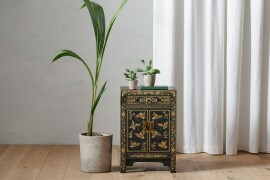 To make the area feel less utilitarian, keep office supplies in pretty storage boxes, and use the shelves to display your favourite possessions too. 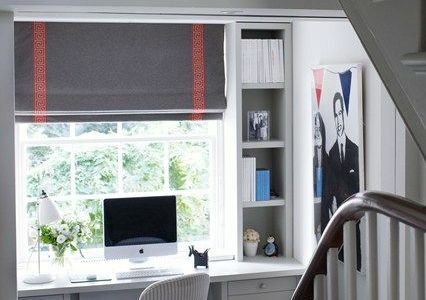 If you don’t want your home office area to be visible 24/7, then consider a hidden home office. This hideaway approach would be perfect for those who hate clutter, or those who only occasionally need a home office set-up. 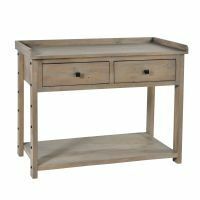 The beauty of Signature Grey Painted hidden home office is that when your work is done for the day, it closes up to be a beautiful piece of furniture that will enhance any space. 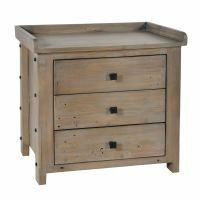 The desk has a smart grey paint finish and contrasting hand limed top, while the distressed bronze knobs finish off this contemporary piece of furniture. 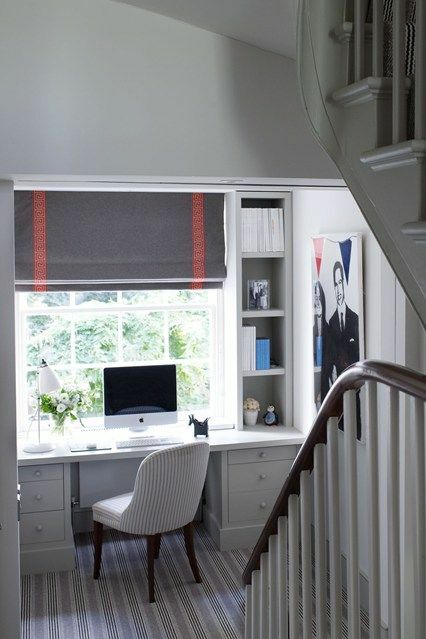 The hallway landing is a space that is often overlooked, but if it is large enough it can provide an ideal spot for a small home office. 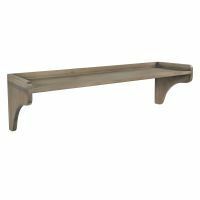 Do you have space for a slim desk on your landing? 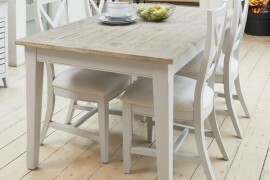 If you have a window could you place a table underneath it and you would have the perfect place to work. 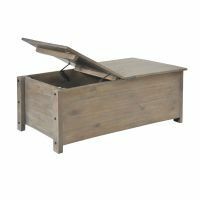 If your space under the stairs is a dust trap for winter coats and odd shoes, you might be able to convert the space into a bijou working space. This savvy homeowner has turned this space into a compact home office thanks to slim desk and neat shelving – a perfect use of the space. It’s surprising how small a space you need for a home office. 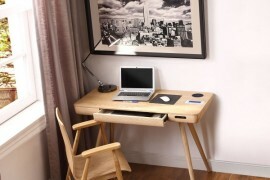 As long as the desk is large enough to accommodate a laptop, then it can function as a place to work. Conceal your office space within floor-to-ceiling storage and add bi-fold doors to ensure you can shut away work cares at the end of the day. With a carefully considered layout, it is possible to turn a guest bedroom into a dual-purpose space that can accommodate overnight guests and also work as an office. 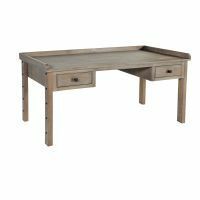 Keep the sleeping area well defined and choose a desk that suits a bedroom setting for example one that could easily double as a dressing table. Add shelves above the desk area, and invest in some matching storage files to keep your work materials organised. Have you turned an alternative space into a home office? We’d love to know, use the #woodenfurniturehomeoffice on our twitter, facebook or instragam feeds to show us how you’ve created your space.